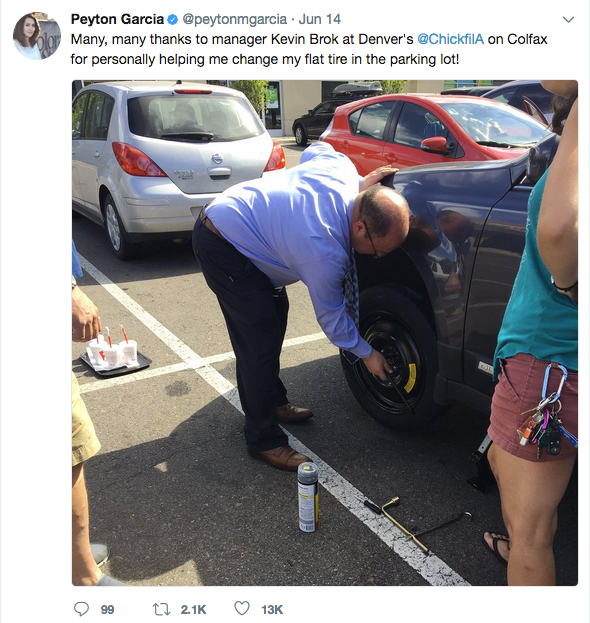 When the drive-thru line at a Denver-area Chick-fil-A restaurant stopped moving, Kevin Brock, the local franchise Operator, stepped outside to investigate. What happened next turned his team into a viral Twitter post. Brock first discovered a stalled car in the most inopportune places at lunchtime: the drive-thru of the busy restaurant. He and other employees pushed the car to the parking lot so that they could jump it and, recognizing the customers were regulars, brought out their usual order while the battery charged. 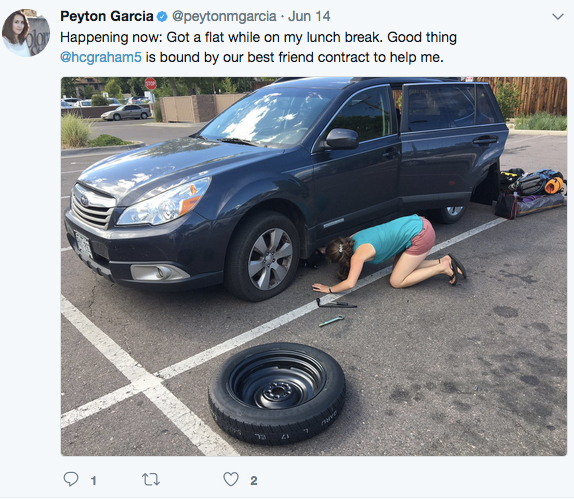 With the drive-thru now humming along, Brock’s team noticed another customer having problems with her vehicle – this time in the parking lot with a flat tire. That’s when Garcia stepped away to call her boss and, “when I came back, there were guys standing by my car asking if they could help out,” she said. One of those who offered to help was Brock. Garcia took to social media to share the story.